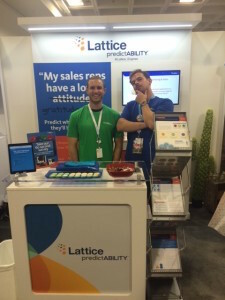 After months and months of planning, the world’s largest software conference came to a close last week. 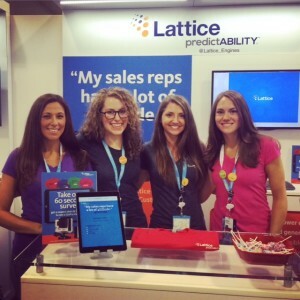 Dreamforce is unlike any other event we participate in, with over 150,000 registered attendees and 400+ sponsor exhibits in two different sections of the Moscone Center. It’s certainly an investment in both time and money, but worthwhile for any Salesforce partner looking to educate the masses on their AppExchange integration or latest and greatest product news. Sure the keynotes and fireside chats with Benioff are inspirational, but what I really find interesting is how far sponsors will go to get you to stop for a demo, scan or 30-second elevator pitch. Each year I like to spend a couple hours stepping away from my own booth and roaming the expo halls to see what sponsors have come up with. This year proved that sponsors are NOT backing down from their creative thinking, so that’s why I’m awarding only those who stood out most to me. 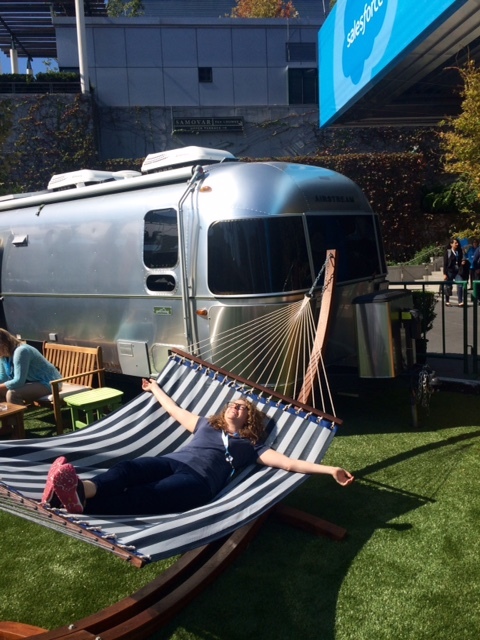 Check out my list of the best of the best at #DF15! 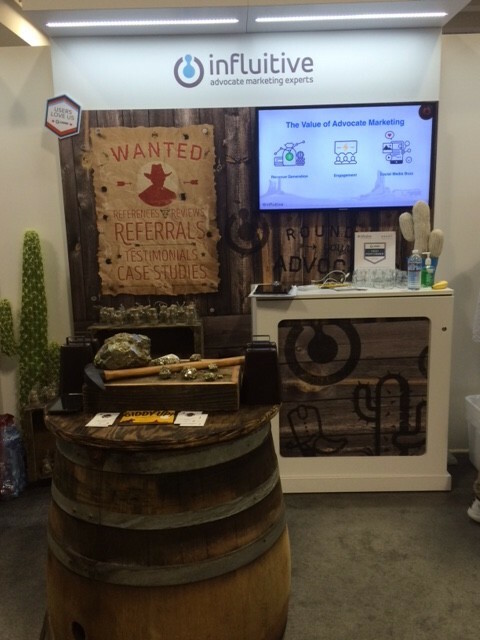 Most Unique Contest: Influitive was consistently awesome at grabbing the attention of attendees walking by its booth. This year, their imaginative western themed booth and contest certainly caught my eye! Influitive had a list of 50 “Most Wanted” marketing executives at Dreamforce, and offered $100 bounties for turning themselves in. They also were giving $50 to anyone who brought them in. And the GRAND price – an ounce of real GOLD! 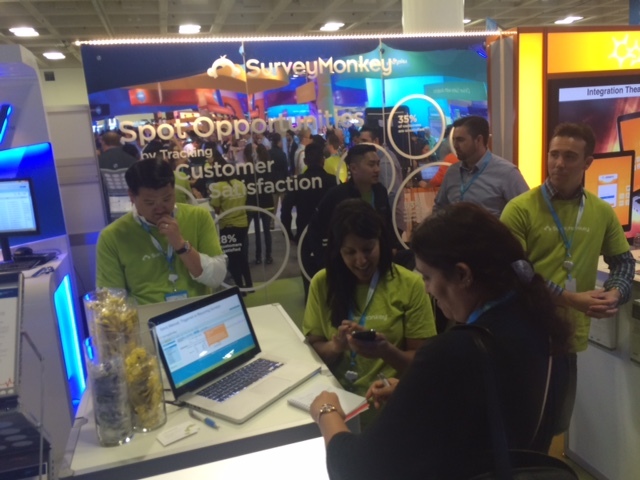 The Booth Design that Caught my Eye: SurveyMonkey replaced boring white panels with this reflective design. If you like shiny things like me, then you’d agree they had the most unique look this year! 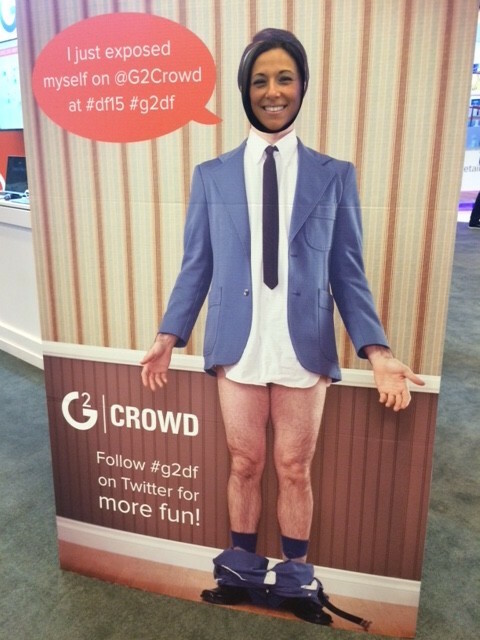 Best Photo Op on the Show Floor: G2 Crowd caught me with my pants down! We loved this risqué cardboard cutout and thought it represented the business review site in a humorous but accurate way. Way to go! 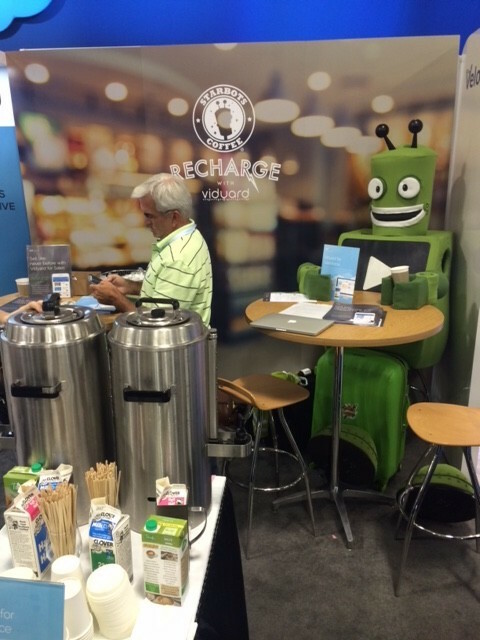 Greatest Use of a Satellite Booth: Vidyard turned its second booth into a mock version of Starbucks called Starbots Coffee, and offered attendees a cup o’joe throughout the conference. Personally, I never know where to get coffee so these guys are some smart thinkers! 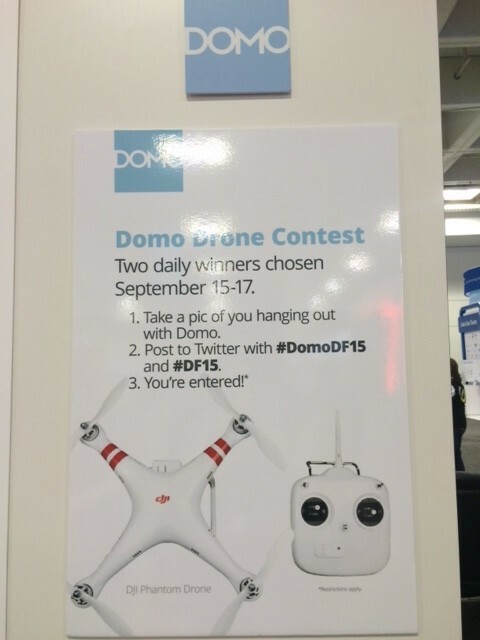 Coolest Contest Prize: What’s hotter than drones right now? Domo was giving away this guy twice a day to anyone who tweeted a pic of themselves at their booth. Now you just need to learn how to fly that baby! 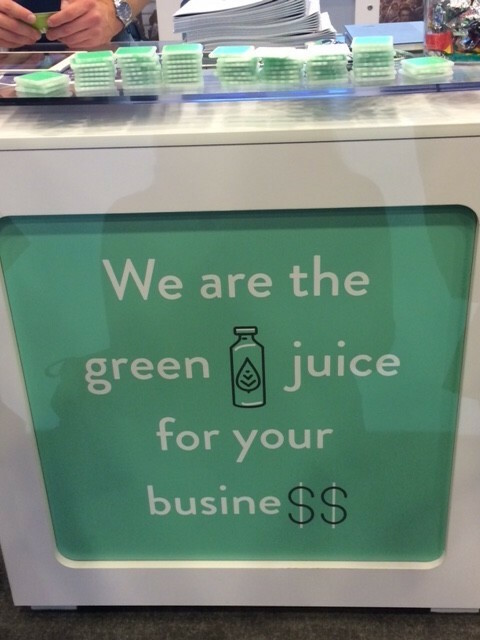 Best Tagline the #LadiesofLattice Can Relate to: Zuora’s creative and timely booth tagline of “We are the green juice for your business” was on point with the latest craze in health! Just mention green juice in front of us ladies and our eyes light up! 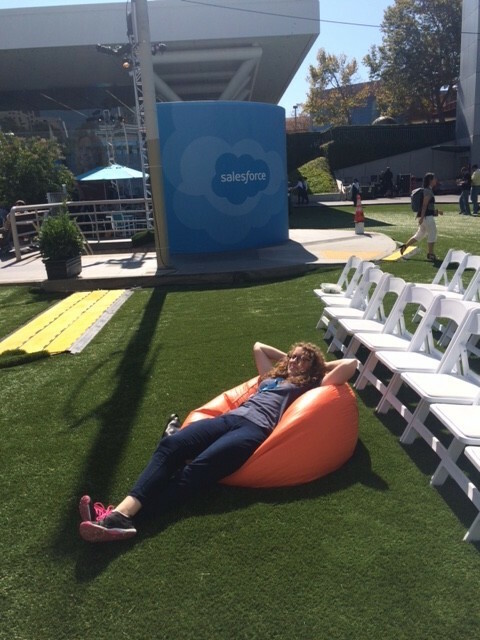 Best Place to Lounge or Take a Nap: This one goes to Salesforce and the whole events team at GPJ. We absolutely loved the Dreampark this year and all of the beanbags and hammocks to lay on while basking in the sun. Thanks for giving us a place to rest our tired feet! 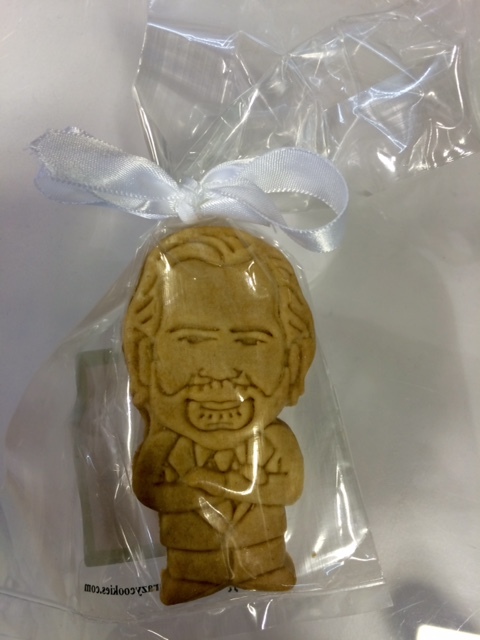 It’s clear that Dreamforce’s Cloud Expo continues to thrill attendees throughout all four days of the conference. We appreciated each of the sponsors’ attempts to keep us hydrated, caffeinated, stimulated and excited! 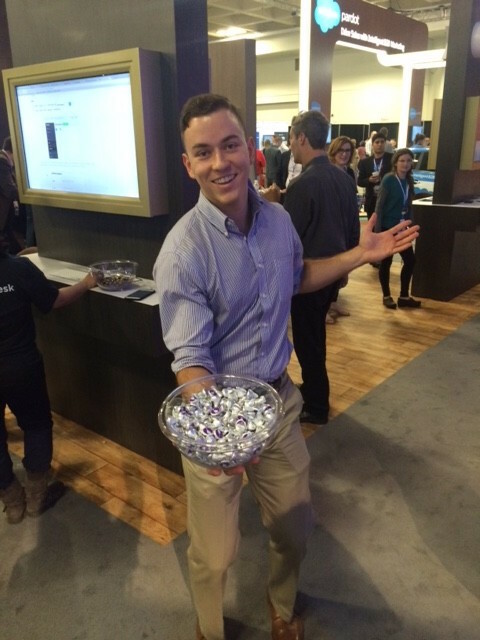 Now it’s your turn to tell us what you thought was the best part of your Dreamforce Cloud Expo experience this year. We want to know!